I noticed, when I was talking with Mike McCarthy in the middle of this season, a defensive posture that the Packers coach was taking. He didn’t like the idea the offense was broken. He liked even less the notion that Aaron Rodgers was the reason why. And McCarthy swore that his Packers were very close to being just fine. A few weeks passed, and Green Bay fell to 4-6. But what McCarthy said stuck with me because, in my years covering the NFL, that’s usually one way you can tell a coach really likes his team. Six straight wins later, on Wednesday afternoon, I told him what I thought then, and I asked if I was full of it now. OK. In what way then? “Work ethic, focus, the energy,” McCarthy continued. “In all the areas, too. Some teams practice well, but you may have issues in the weight room or the training room. There’s more than just playing on Sundays to this business. And the big thing for us, particularly our core players, the veterans, a big part of that paycheck is what they do Monday-Saturday. In this week’s wild-card edition of Game Plan, we’ll take a look at Ben Roethlisberger’s offseason cardio paying off; why Bill O’Brien’s staff is among the NFL’s best; what the Chargers and Niners are seeking; a couple prospects in the College Football Playoff National Championship; and the impact Chip Kelly had on the pros the past four years. 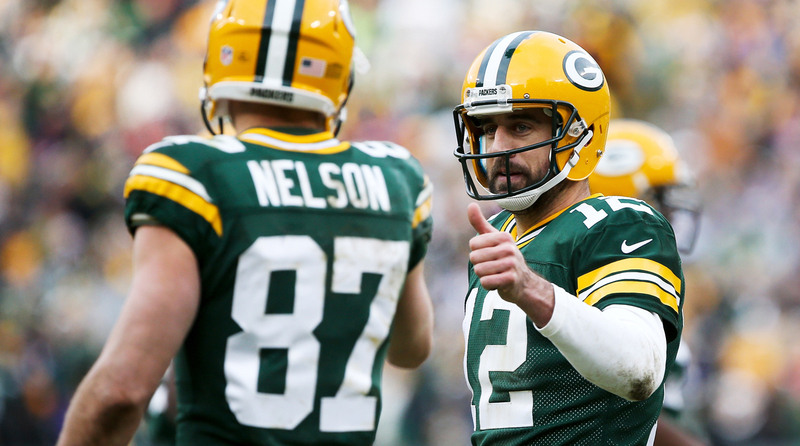 Aaron Rodgers’ 40 TD passes this season were the most in his career since 2011. We start, though, with this weekend’s games, and the proverbial team no one wants to play, which happens to be the same group everyone—myself included—was performing an autopsy on over Thanksgiving. Know how NFL coaches say the real season starts on Turkey Day? These Packers look like Exhibit A. After being dissected into November, Aaron Rodgers has been damn near perfect since the holiday, completing 142 of 200 throws for 1,667 yards, 15 touchdowns, no picks and a 121.0 passer rating. And if you believe that’s when contenders distinguish themselves, the Packers are ready as anyone for the playoffs. Now, this most certainly isn’t how Green Bay drew it up. No one’s in camp in July looking to start 4-6 to generate the kind of desperation the Packers have fed. But that’s how it played out. And so, in a way, this thing has come together perfectly for McCarthy—a team he really liked needing to show its claws in coming out of a ditch it created for itself now stands to be a beneficiary of its difficult circumstance. “Anytime you gotta crawl out of a hole in life or the game of football, when you get out of there it definitely helps you,” he says. “I talk about the survival instinct all the time with our players. Every man that’s in that locker room, they didn’t arrive there because of a winning lottery ticket. They had to fight and scratch, climb out of holes, climb over thresholds their whole life to get to this point. Of course, it’s not like things were all good at 4-6. They just got fixed. The Packers have won the turnover battle in five of their past six games, and were even in the other one, after coming out on the minus side in five of their first 10 games. They’ve won time of possession in eight of their last 13 after going 0-for-3 in that department in September. And they’ve improved in the field-position game, something McCarthy still regards a work in progress. That’s the other thing, as McCarthy sees his team. It needs to be ascending as it hits the postseason, and it is. There’s no better proof than this crazy stat: Over the course of the six-game win streak (360 minutes of football), the Packers have trailed for less than eight minutes, which McCarthy sees as a result of the players cleaning up the little things, like those three key indicators. That’s Monday-Saturday showing up. And it doesn’t hurt pairing all that with a suddenly resurgent Rodgers, benefiting from everything being better around him. This isn’t unfamiliar ground for McCarthy or Rodgers. Six years ago, the Packers had to fight their way into the playoffs in Weeks 16 and 17, with Rodgers coming off a concussion. Over that time, they found their rhythm, the quarterback got unreasonably hot, and the rest is history. The Packers have been battling to get back there since. They were 15-1 in 2011, and lost their first playoff game. Two years ago, they won a bye, then lost in freakish fashion in Seattle. The teams in those seasons were really good, of course, but this one is probably closest to having the championship formula the 2010 group did. And another parallel is the fight and drive that team had and this team does too—“They’ve just stayed true to the path,” McCarthy says—that showed up in how its ticket to the big dance was punched. Which also happens to say everything about why McCarthy was so quick to stick up for them all those weeks ago. 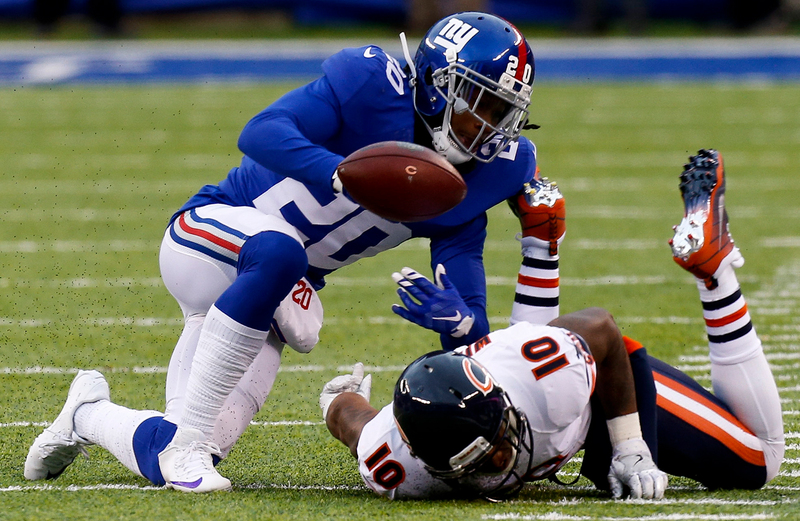 Janoris Jenkins had a Pro Bowl season, but has been dealing with back issues the past few weeks. • If the Lions are going to win, they’ll need Matthew Stafford to play a little closer to the level he was at before injuring the middle finger on his throwing hand. Seattle, of course, isn’t the best place to get healthy. • On the flip side, the Seahawks have to find a way to get Thomas Rawls going. On Dec. 4, Rawls went for 106 yards, and Seattle looked scary in blowing out Carolina. In the four games since, Rawls has rushed for 123 yards on 49 carries. • It’s worth keeping an eye on Jay Ajayi’s health this week—on Sunday, he’ll be two weeks removed from an AC joint sprain. With Matt Moore in the saddle, it’s essential Miami has the run game working. 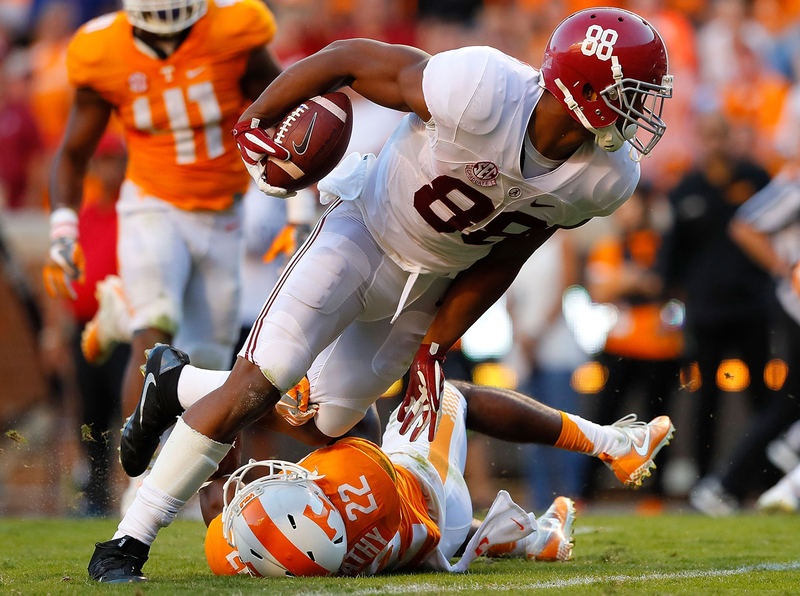 • I think Amari Cooper will wind up being a top five receiver, but he’s slumped of late. His last 100-yard game was in October, and he’s broken 60 yards just once since Halloween. With the Raiders set to start a rookie quarterback, Saturday would be a good time to snap out of it. 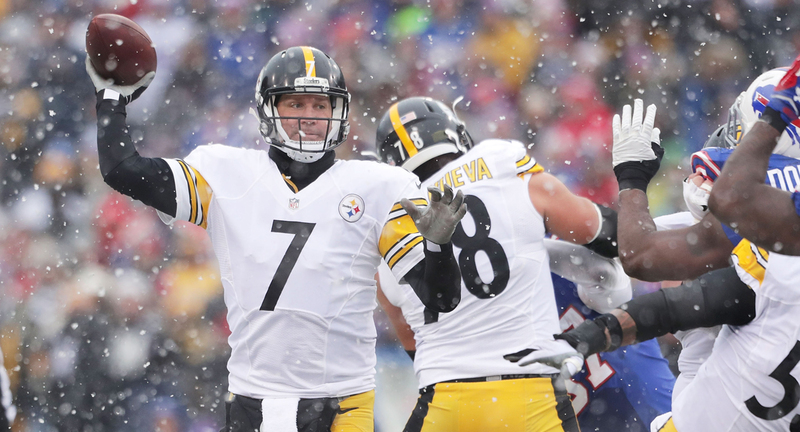 Ben Roethlisberger and the Steelers are on a seven-game winning streak heading into the postseason. 1. Offseason work pays off. It’s not unusual that 30-something vets start to tweak and change their workout regimens at advancing ages, and it’s normally done because it becomes increasingly harder for them to make it through a 16-game season, plus playoffs, in one piece. That’s why, as the Steelers’ Sunday showdown with Miami approaches, I thought about a conversation I had with Ben Roethlisberger over the summer. I said he looked lighter than he had in training camps past. He responded that it wasn’t necessarily his intention to lose weight, but that he tweaked his routine for January-April to incorporate an extra half-hour of cardio every day. Roethlisberger figured it’d pay off in December and January, when the season starts to take its toll. And here we are. Roethlisberger said this week that he and the team are as healthy going into the playoffs as he can remember them being in the past. So maybe that extra little push he gave in the offseason counted for something. 2. Texans would be crazy to let go Bill O’Brien and his staff. Over the weekend, Fox’s Jay Glazer reported that the coaching-carousel surprise to come could be Bill O’Brien being out in Houston after the Texans’ playoff run ends. Is that a stunner? Based on the buzz in league circles over the past couple years, the answer is no. The setup between O’Brien and the incumbent GM, Rick Smith, he was paired with has never been perfect. And maybe, in a week or two, owner Bob McNair decides he’s had enough of what’s been a tough fit for all involved, and decides to remodel the organization. I’d just say this: O’Brien would be on the list of every team about five minutes later, and that’s something that McNair should probably think about before doing anything. It’s not hard to see why, either, with the job O’Brien’s staff has done over the past three years, which represent the first string of three consecutive winning seasons in franchise history. The swings and misses at quarterback have been, without a doubt, a problem over that time, but what’s happened everywhere else is pretty impressive. Start here: The Texans have 13 guys on injured reserve, a handful of them were starters. They’ve been without Brian Cushing, Vince Wilfork, Jadeveon Clowney, Johnathan Joseph, Lamar Miller and Will Fuller at points. And they’ve found a way to patch it together with low-round draft picks and undrafted free agents, something that’s a credit to the scouting staff, but also a deep coaching staff for having everyone on the roster ready to step in. On the offensive line, they started the season without Duane Brown, finished it without Derek Newton, and were without projected starter Nick Martin throughout, yet the Texans finished eighth in rush offense. On defense, they finished No. 1 in the league without the best defensive player in football—J.J.—for the last three months of the season. Bottom line, this team looks ready to make a big leap once it does get the QB spot settled, and a big part of that is the guy McNair chose to steer the ship three years ago. No way should he throw overboard that guy, or the coaches he brought with him. 3. The Chargers’ focus is narrow. The San Diego brass came out of early meetings this week, after the ouster of Mike McCoy, with parameters for its next head coach. And above all else was this: Remember that whomever you pick is being picked to run the entire team, and not a segment of it. So the focus is less on the schematics a candidate brings to the table, and more on the coach’s ability to lead an entire program, and connect with all different sorts of players. “Authentic leadership” is the term that was communicated to me. What else is important here? First, this won’t be an overly broad search. The group spearheading the process—owner Dean Spanos, president of football operations John Spanos, general manager Tom Telesco and VP of football administration Ed McGuire—started with a list of 20 names early this week and whittled that down to a handful. You know some of them already. Patriots defensive coordinator Matt Patricia, Dolphins defensive coordinator Vance Joseph and Buccaneers defensive coordinator Mike Smith are on there, which brings us to the second point. The offensive staff in place is very much in play to remain, I’m told, and a candidate’s desire to work with sitting coordinator Ken Whisenhunt would likely be seen as a plus. Third, while the team hasn’t totally ruled out a candidate from the college ranks getting a late look, the focus—based on the team’s list now—is on coaches in the NFL. And fourth, head coaching experience is seen as a plus, which would seem to give Smith a leg up on the others, and that’s based on the analytical research the Chargers did on league-wide hires ahead of the search. This situation for candidates is an interesting one. There’s plenty of uncertainty in that the team could be heading into a few transient years—they could bounce from San Diego to the Home Depot Center in Carson to Stan Kroenke’s palace in Inglewood over the next 32 months. But the Chargers have some things to sell too. There’s a rock solid quarterback in place, a good young core (Keenan Allen, Melvin Gordon, Hunter Henry, Joey Bosa, Denzel Perryman, Jason Verrett), and ownership that’s shown patience with coaches in the past. As they see it, now they have to find, more than anything, the right leader to direct that group, moreso than they need a chessmaster to move the pieces around. 4. The 49ers are looking to reestablish some tenets of the past, ditch others. I’ve been on record saying I think the San Francisco opening might be the best one at sea level. Yes, I know how bad they’ve been, but this is a genuine opportunity to build from the ground up, and that’s not all that common. It’s the only coaching job of the six where you aren’t inheriting a general manager. You don’t have a highly-drafted quarterback like a Blake Bortles or Jared Goff that you need to try and fix, or convince management to trade. There aren’t bad contracts that you can’t get out of. There’s an acknowledgement in the building that time will be needed. And so, at least on paper, this is the one job where a coach can take the book that he’s bringing into the interview and follow it by the letter in building a team. As such, the Niners are trying to be as open-minded as possible with the search. But that doesn’t mean there aren’t parameters. CEO Jed York already laid out the importance that the GM be able to build a strong relationship with the coach, but the mandate there will be broad and the relationship-building element will be important at all levels. Trent Baalke wasn’t all that inclusive with his own scouting staff, and the assistant coaches certainly didn’t feel like they had much say in what the team should be seeking in acquiring talent. So the hope is that changes, and that the team can be more creative with trades, and more efficient in veteran free agency and building the bottom of the roster. As for the coaches, adaptability on the field will be vital, as will rediscovering the toughness they had that Scot McCloughan emphasized from 2005-10 and that Jim Harbaugh fostered over his four years. And the hope is the coach can create the kind of accountability that Harbaugh once did. Add it up? Find the creativity, toughness and vision of McCloughan and Harbaugh, and eliminate the dysfunction, and you’re getting close to what the Niners want. And that ability to learn from the past is a good sign that the team has the right idea. Getting there, of course, will be much more complicated. • Ever since Bob Quinn was installed as GM in Detroit a year ago, there was an uneasiness in the Lions’ ranks that he might eventually turn to his New England roots and replace Jim Caldwell with someone like Josh McDaniels or Matt Patricia. That can be put to rest for another year now, but I was able to mine an interesting nugget in the process: If the team had made a change, it’s assumed in the building that it would have tried to retain offensive coordinator Jim Bob Cooter. That’s not coming from upper management. It’s just a feeling people had, which should tell you the respect that the 31-year-old has engendered with his work. • Connor Cook has a chance on Saturday to prove he can be an NFL starter against the league’s top-ranked defense, but the truth is most evaluators I talk to always felt like he had that potential. The bigger questions surrounded his personality; he was known to be a loner at Michigan State and not much of a leader. To his credit, he’s done the work in Oakland to, as one staffer put it in a text, “come a LONG way” since he arrived in May. “Connor’s been great here,” the text continued. “He’s fun to be around.” Maybe it’s a sign he’s matured a little, which would be good, considering why he fell to the fourth round. • The smart coaches build their staffs to prepare for attrition, so good on Adam Gase for knowing that Vance Joseph—who was in demand as a coordinator candidate the last two offseasons—had potential to be in the mix for head-coaching jobs very quickly. Joseph is, and Gase is ready, having been able to get highly-regarded linebackers coach Matt Burke out of Cincinnati at the same time he poached Joseph. Burke likely would succeed Joseph in Miami. Alabama’s O.J. Howard is expected to be one of the first tight ends drafted in April. 1. Alabama tight end O.J. Howard (vs. Clemson, CFP Championship, ESPN, 8 p.m.): After exploding for 208 yards and two touchdowns on five catches against Clemson in last year’s title game, many assumed Howard would head to the NFL. But he went the other way, returning for his senior year and the product has been modest results—41 catches for 289 yards and two touchdowns in 14 games—in an offense that was retrofitted from pro-style to spread with true freshman quarterback Jalen Hurts installed as the starter. So there’s still plenty for the pros to learn about Howard, but the two things that seem certain are that he’s got limitless athletic potential and remains a little raw. “He’s arguably the best tight end in the class,” said one AFC area scout, who compared his ability to Jimmy Graham’s. “His upside and potential are great. A very, very good athlete who’s still learning the tricks of the trade. He’s also a better blocker than people give him credit for.” Given the dearth of recent tight-end talent coming from the college game—Eric Ebron and Tyler Eifert are the only two to go in the first round in the past six classes—it seems fairly certain that teams will be tempted to take Howard pretty high based on his physical traits alone. 2. Clemson cornerback Cordrea Tankersley (vs. Alabama, CFP Championship, ESPN, 8 p.m.): The Clemson front seven is loaded with freaks who aren’t draft eligible yet (Christian Wilkins and Dexter Lawrence are likely to go very high in 2018 and ’19), so the Tiger defense’s best 2017 prospect may actually be a player who has exhausted his eligibility. Tankersley didn’t start until last year, when he won the team’s most improved player award and led Clemson with five interceptions. He only had one pick during the regular season this year, but made All-ACC for the second straight time, then picked off Virginia Tech twice in the conference title game, and Ohio State once in the national semifinal. Evaluators are split on his potential, but his length and size have them agreeing he belongs in a Seattle-style system. Some see him as a potential first-rounder. Others don’t. “I think he’s a fourth-rounder,” said an NFC exec. “He’s long, good frame, will tackle, he competes. But he has stiffness. He’s just a press corner.” Good thing for Tankersley: The proliferation of defenses styled after Pete Carroll’s Seahawks unit has put those types of corner in demand. 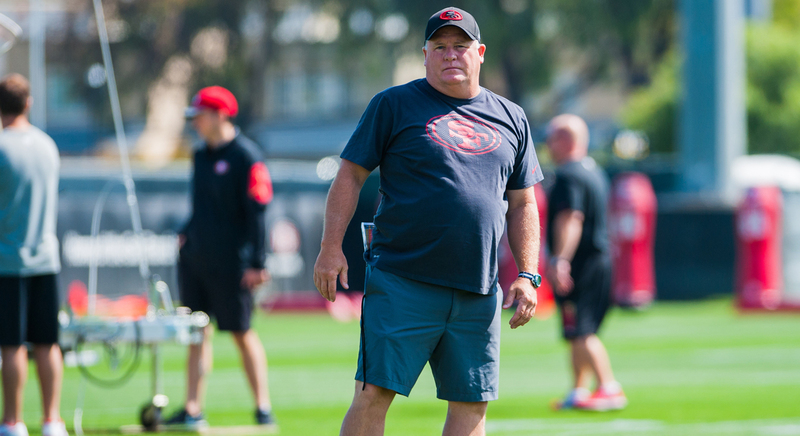 One of the innovations Chip Kelly brought to the NFL was a different approach to practice. If this is it for Chip Kelly as an NFL coach, it sure hasn’t been a boring four years. What first attracted the Bucs in 2012, then the Eagles, Bills and Browns, and finally the 49ers to want to hire Kelly in the first place was his ability to innovate. And it was more than just his blur offense. It was how comprehensive his program was; how he incorporated sports science; how efficient and fast his practices were; and how he’d once made Eugene, Ore., the Silicon Valley of college football. Let’s just say everything hasn’t gone according to plan since. But that doesn’t mean Kelly won’t leave behind a mark on pro football, because he did have the stones to do things different, and that’s given us all some answers on different things. Here are a few, after talking to some scouts and coaches across the league. • Tempo does work, just not all the time. In the couple years before Kelly arrived in Philly, New England incorporated a slew of one-word calls into its offense to facilitate a “turbo” package. It was taken directly from Oregon. And while the Patriots always played fast, and Peyton Manning’s offense often up-tempo, it’s far more wide-spread now than ever. Mitigating factor here: The hashmarks. Kelly’s offense thrived in the open field at the college level, and the open field is closed down in the NFL by the narrower hashmarks and bigger, faster players. • Adaptation remains key. What makes Bill Belichick the best? That the Patriots are the NFL’s chameleon, capable of changing and adapting as the opponent warrants. And that’s the way the league is now. If you’re not constantly evolving, you’re dead, because everyone will get a bead on what you’re doing eventually. The 2012 Redskins would be another example. They basically imported the Baylor offense to accommodate Robert Griffin. It worked great for a year. Ditto for the San Francisco pistol, piloted by Colin Kaepernick. • Sports science. To dispel this rumor, no, Kelly didn’t invent smoothies. But he did force teams in a competitive league to look hard at every aspect of their respective operations, and the focus on developing the total athlete seems to be more intense. There was the music at practice. The idea that the day before the game shouldn’t be a walkthrough. Monday as a recovery day, rather than a review day. And so on. In the end, if this is it, history will show the Kelly experiment didn’t work. But the truth is, we all learned a lot in the process.